Sapa is a mountainous village that attracts a huge number of domestic and international visitors. Going to Sapa, visitors will be surprised at the wonderful beauty of “the cloudy town”. Apart from attractive spots in Sapa, there are many beautiful spots in the town’s neighboring areas that can be great destinations for tourists who want to look for peacefulness and tranquility. Among these attractive destinations, Coc San (Cốc San) is worth a visit. 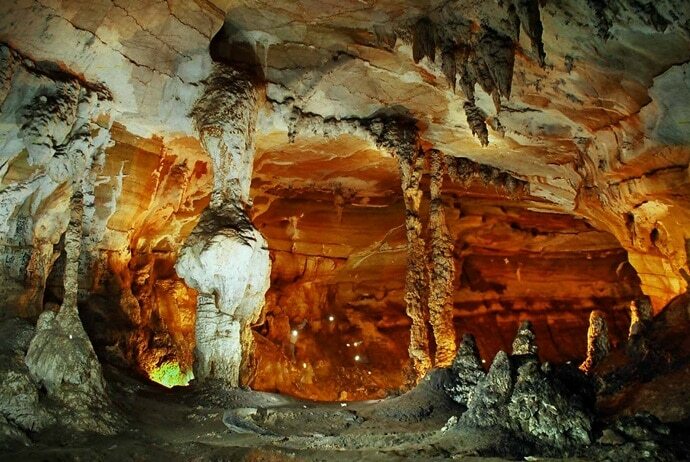 When visiting Sapa, you should enjoy the beautiful scenery in Coc San Cave. Certainly, Coc San’s wild beauty and natural boldness will bring you many interesting things. Coc San system consists of caves and waterfalls of varying size. The road to Coc San is dark, zigzag and covered by rocks, so Coc San’s beauty is still wild. 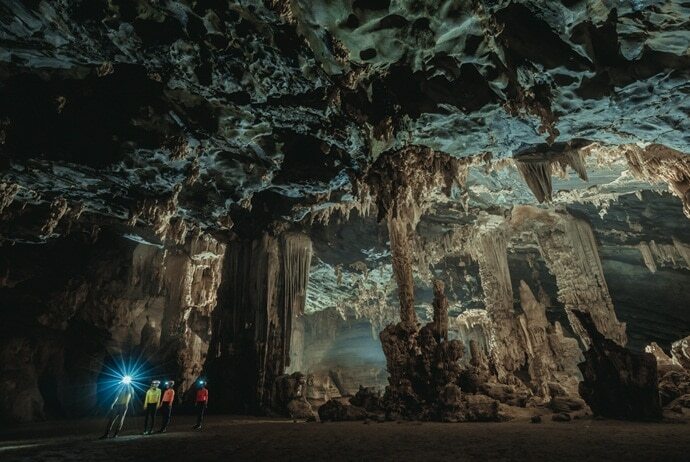 In this travel guide, Vina.com give tourists more details of Coc San Cave, especially for those looking for a peaceful and beautiful destination in Sapa. The first thing you need to know when it comes to knowing Coc San Cave is its location. Located in Coc San commune, about 7km from Lao Cai (Lào Cai) city, Coc San includes some caves and waterfalls of different sizes. There is a 1-km-long road leading to Coc San from national Highway 4D. Both sides of the road are villages and small fields. When you are about 300m away from Coc San, you will be able to hear the murmuring streams. Coc San system is located between two hills. Coc San caves are distributed in lots of places. Coc San’s landscape is comprehensive and harmonious. All of the tourists who travel to this area can feel the miraculous excitement from the caves, waterfalls, and stone tissue. 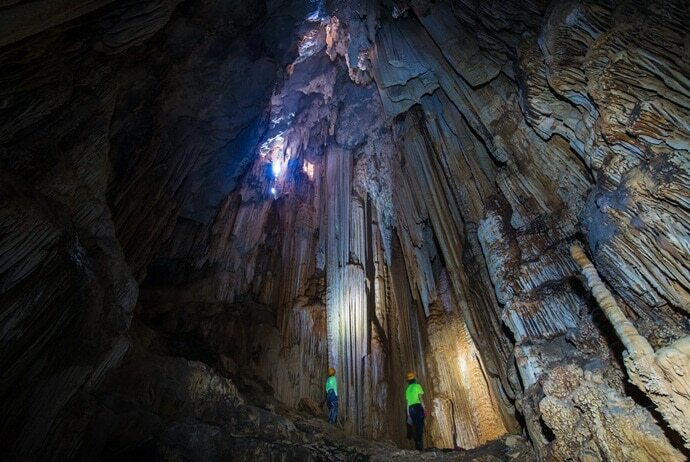 When it comes to the beauty of Coc San Cave in Sapa, you should know something about its climate and nature. Coc San’s climate is cool and comfortable. So, it is a great destination for young people who want to escape from the smoke from vehicles and the busy road of modern city. In harvest time, Coc San puts on itself a golden coat and the air is filled with ripe rice’s fragrance. Therefore, tourists often spend 2-3 days on discovering the peace of Sapa and Coc San. Especially, on summer days, Coc San cave in Sapa, with cool air and clear water, is like the entrance to the wonderland. You can enjoy the great moments by immersing yourself in the fresh and cool water here. Now, continue to read the rest of this article to discover other features of Coc San system that you should know before travel. Coc San gets rocky terraces with lots of small rocks. Especially, there are many wide and flat slides that a few people can sit to relax. The climate in Coc San system is so cool and fresh. From the peak of the mountain, you can see the beautiful panorama of Coc San commune. 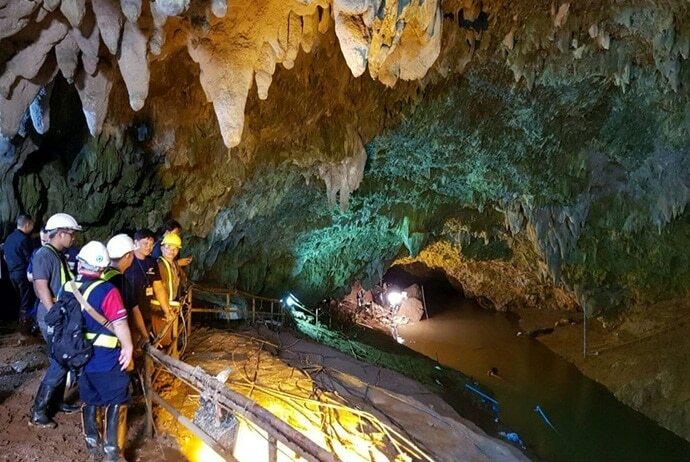 On holidays or summer days, many people come to Coc San system to take picture, explore the scenery of the caves and bathe themselves in cool water. Most of them are students and young people. Most of Coc San caves are located under the waterfalls. 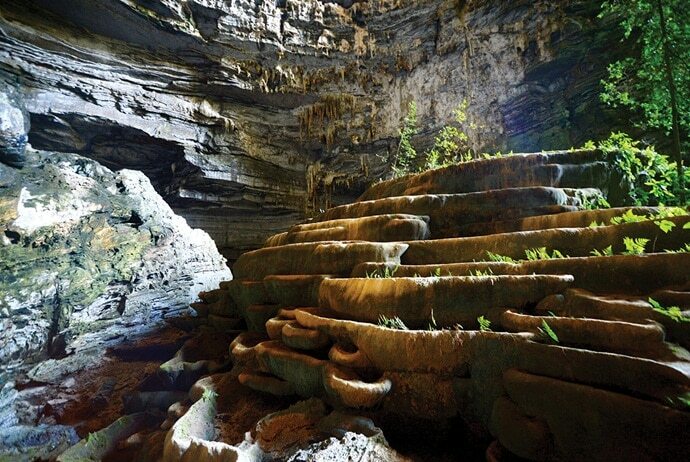 These caves are hidden behind the water curtain. So, nothing is more interesting than being inside the cave to see the water curtain. Getting into the Coc San caves, you can be surprised by the stone plates and stone columns of extraordinary shapes. There are a great number of stone plates that a few people can sit. Coc San stream is originated from Hoang Lien Son (Hoàng Liên Sơn) Mountain and it includes a few waterfalls with different sizes. Among waterfalls in Coc San, the most beautiful one is Ba Sam Waterfall that divides its water flow into 3 branches. Wandering around the sides of the stream, tourists will come across a few rock fields. Nothing is better than sitting on a flat rock and putting your feet into the clean water while enjoying the nature surrounding you. Also, you can see many fish swimming around. Apart from the natural beauty, the characteristics of Coc San’s people are also an attractive feature of this destination. Visiting Coc San, you can visit ethnic people who live in Coc San commune. Generally, Coc San’s people are honest, friendly and enthusiastic. Local people often warmly welcome tourists with the local foods. One of the specialties here is sweet corn wine. Besides, the grilled fish from the clean streams may be one of the best memories of your trip to Coc San. Cave and water in Coc San system are harmoniously combined. Nonetheless, Coc San is only known among nearby locals. Although Coc San includes lots of beautiful caves, many caves here are not explored. As a result, beauty of Coc San is worth exploring. Actually, Sapa is a great destination in Vietnam, and Coc San is one of the best destinations that you should come when visiting Sapa.